Mitsubishi Pajero has always an iconic SUV for the off roading enthusiasts. The SUV is known for its off-roading abilities and massive appeal. Back in 2012 Mitsubishi launched the Pajero Sport which was one off the most anticipated launch of the 2012 and the views on this new SUV has been mixed but now BBC Top Gear has awarded the Mitsubishi Pajero with the SUV of the year award. The Mitsubishi Pajero Sport after crowned as the “Off roader of the Year 2012” has made a statement itself that it stands tall and high among its competition. Managing Director of the Hindustan Motors Ltd. Mr. Uttam Bose received the award at a gala function organized by BBC Top Gear at the Kingdom of Dreams in Gurgaon. 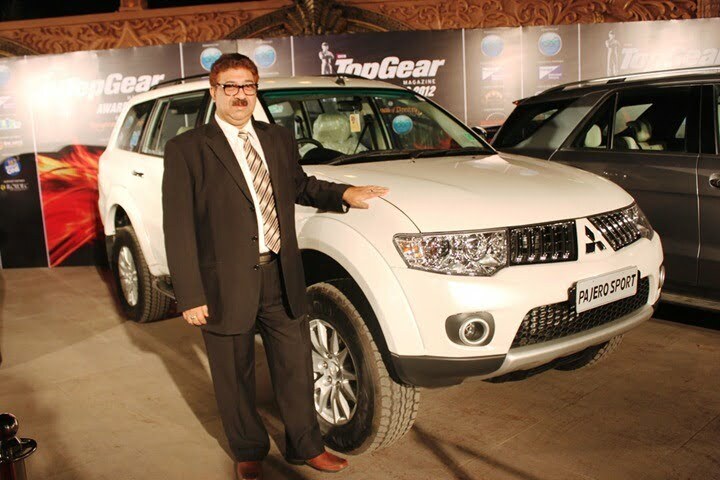 And talking on the event Mr. Bose said that this award is yet another endorsement of Pajero Sport’s invincibility across all terrains, especially the rough and tough one. This mighty sport utility vehicle, which has the unique distinction of having won the world’s toughest car contest – Dakar Rally – consecutively for 13 times, is a testimony to the strong collaboration between Hindustan Motors and Mitsubishi Motors Corporation of Japan. Mitsubishi Pajero Sport is the latest offering of the Mitsubishi and Hindustan Motors. The SUV is equipped with a 2.5-litre diesel engine which generates 178PS of power and 400Nm of maximum torque. The SUV also has leather seats on the inside accompanied with a audio player with USB, audio display, fuel consumption information, automatic climate control system, leather wrapped steering wheel with audio controls and a gear knob wrapped in leather. The Mitsubishi Pajero Sports is priced at a price tag of 23.53 lakhs ex-showroom New Delhi.